The Executive Summary provides a brief overview of the intention and recommendation of the feasibility study completed in August 2012 and in the process of being published. 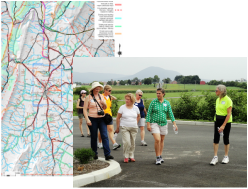 Creating a network of safe and scenic walking and biking routes. With these improvements, people can walk or bike safely to local schools, shops, restaurants, parks and historic sites. See how it all gets connected! 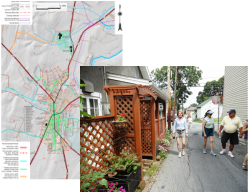 The study utilized community feedback and workshops to identify where people like to walk, jog and cycle. Their view and the study narrative show what is needed to make these routes safe and connected. 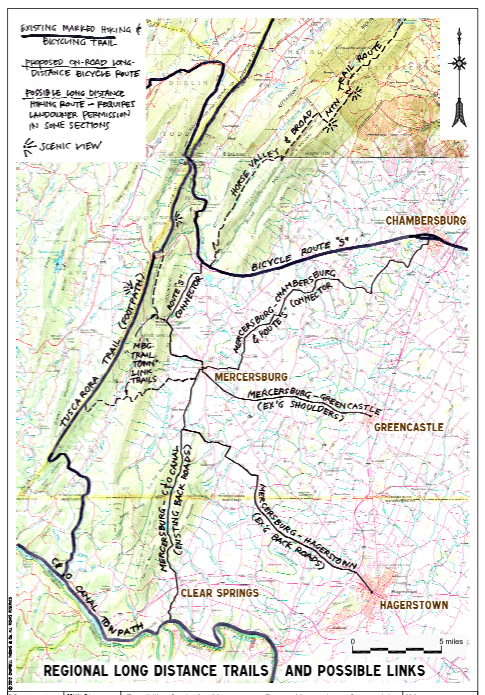 Mercersburg, Montgomery and Peters are located at the foot of the Tuscarora Ridge. Bike ride along J.E.B. Stuart's route into PA during the civil war or along the C&O canal. 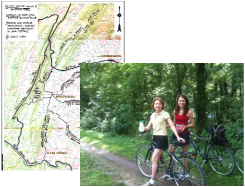 Bike and stroll along the Tuscarora Ridge, around James Buchanan State Park and bicycle Route 5. All of these are perfect "go to" locations for history buffs as well as outdoor adventurers! What could the walking and cycling paths look like? Here's an example from Mcfarland Road in Mercersburg. The gentle hills and beautiful views are enjoyed by many walkers, joggers and cyclists everyday. Compare existing conditions to what it could be!